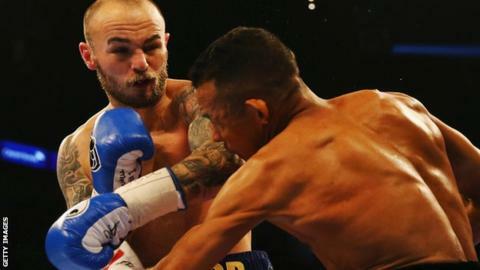 Former British and Commonwealth super-featherweight champion Kevin Mitchell has retired. The 31-year-old Englishman won 39 of his 43 fights and was due to face Finland's Edis Tatli on 18 March. After moving up to lightweight, the Dagenham boxer fought twice for a world title, but lost each time. "I was in the gym training for the Edis Tatli fight and I just didn't really feel that I have enough to go through the training once again," he said. "I've been fighting for 22 years. It is a long time to be putting your body through all you have to do to get right for a fight and my body has said enough is enough." Mitchell, nicknamed 'the Hammer' because of his love of West Ham United, last fought on 12 December last year, when he was stopped by Ismael Barroso in a fight for the vacant WBA interim lightweight title. He was due to meet Tatli, from Finland, for the European lightweight belt.